If you haven't made a pilgrimage to the Most Magical Place on Earth recently, you may be surprised by some big changes. The old FASTPASS system, introduced in 1999 to lessen wait times at popular attractions, was relatively straightforward. With no advance reservation system, determined park-goers would race to FASTPASS ticket machines as soon as the parks opened to secure a spot on their favorite rides. The new FastPass+ system, which is a bit more complicated, allows for advance planning and opens up many more rides to the legacy system. We break it down for you below. How do I get FastPass+? By buying a ticket. FastPass+ is included in the price of admission for every day a ticket is purchased. FastPass+ reservations can now be made way in advance... no more rope-drop runs to Space Mountain necessary. Disney Resort hotel guests can reserve FastPass+ tickets up to 60 days in advance, while all other ticket holders can do so 30 days in advance. FastPass+ reservations can be made using the My Disney Experience planning page or mobile app. After creating an account and linking their reservation, users can secure FastPass+ tickets for their favorite attractions. If you don't buy park tickets until you arrive at Disney World, or need to change your FastPass+ reservations, you can do so in two ways. Each park has a number of FastPass+ kiosks where you can make or change your reservations. Beware, the lines for these kiosks can be long. If you can, download the mobile app, which makes it possible to make and change reservations on the go, eliminating yet another line. FastPass+ experiences work the same way as the legacy system. Each FastPass+ comes with a window of time you will be allowed to enter the ride. Arrive at the ride during that timeframe, get on the FastPass+ queue and enjoy. Do I need to have a MagicBand? You can use FastPass+ without purchasing a MagicBand. The old paper park tickets have been replaced with RFID plastic, credit-card type tickets that are scanned at FastPass+ kiosks and at ride queues. 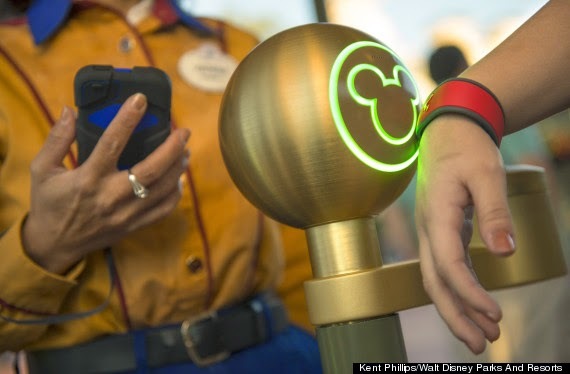 MagicBands can be more convenient -- no need to fish your ticket out of a wallet or pocket -- but are not required. All Disney Resort hotel guests and Walt Disney World passholders are provided MagicBands. So, how many FastPass+ experiences do I get? You can reserve up to three FastPass+ experiences at one theme park. That means if you plan on park-hopping, all your FastPass+ reservations can only be in one park. After using all three initial FastPass+ tickets, you can select another FastPass+ experience for the same day, based on availability. After using that one, you can select another, and so on. These additional selections must be made at a FastPass+ kiosk. What attractions can I get a FastPass+ for? So many! FastPass+ is now available for more attractions than ever, ensuring that guests of all ages get to experience the attractions they love. Guests can also reserve FastPass+ for parades, fireworks, character greetings and Fantasmic!, ensuring a prime spot without camping out way in advance. How does the tier system work? Currently, Epcot and Disney's Hollywood Studios offer a tier system, to ensure FastPass+ tickets for extremely popular attractions are distributed evenly among park guests. For example, at Epcot, guests can choose one "Tier One" attraction and two "Tier Two" attractions. Tier One, for example, includes both Soarin' and Test Track, so guests must choose between the two. Annual Passholders are allowed to plan seven days of FastPass+ selections within any 30-day period, applicable to one park per day. 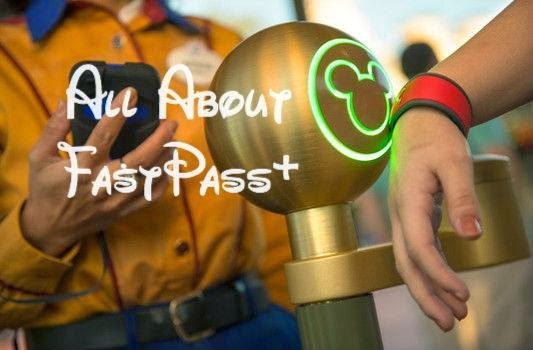 If staying at a Disney Resort hotel, Annual Passholders can make FastPass+ reservations 60 days in advance.